No no no, nothing to do with Uber taxi’s, motorbike couriers or pizza delivery drivers. I refer to the cost of attending gigs and the law of diminishing returns. Most gigs incur travel costs and sometimes the cost of an overnight stay especially should you live as i do in the North East were many bands seem reluctant to play. 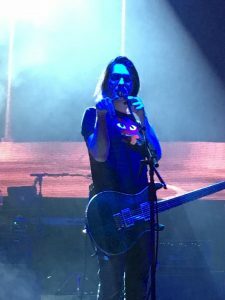 This was recently born out my Steven Wilson who confessed to the audience during his performance at The Sage Gateshead that whilst touring many years ago with Porcupine Tree the attendance was so bad one evening in Newcastle that a conscious decision was made not to return. It was only in recent years whilst touring with The Raven That Refused To Sing that Wilson took a punt that paid off. Steven Wilson certainly knows how to put on a show and you know before you arrive that you will get your monies worth. My point is that perceived value isn’t always about about the financial outlay and wrestling to get the time off work, travel plans etc, it’s what you get for your troubles once you are there. An example of this would be my trip from the North East last September to London to see Big Big Train at the Cadogan Hall. Along with other fans from the region the not inconsiderable expense was worth every penny. It may seem obvious the point that i am making though for me personally i would rather travel hundreds of miles away to see quality performances than a forty minute car ride to see a big name band top up their pension delivering below par experiences by milking their past past for all it’s worth and exploiting the devotion of their most loyal fans. I have witnessed this a couple of times recently and made me wish that some artists/bands would simply give up whilst they are on a high. Of course all this is subjective and not all people feel as i do that such experiences are unacceptable when tickets for even the smallest of venues range from £40-£60. 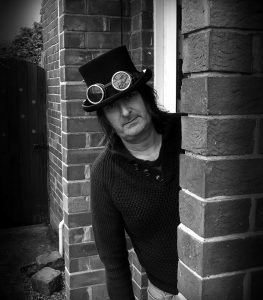 Indeed some legends of Prog trade on their celebrity to such a degree that recording new music is a much harder option than continuously revisiting their or a band they were once part of back catalogue. To save myself being gunned down in cold blood by loyal fans of the great and the good who can’t see any bad in their idols, my recent experiences shall remain a closely guarded secret. So the whole economy of attending a gig at the present time is very much a mixed bag. 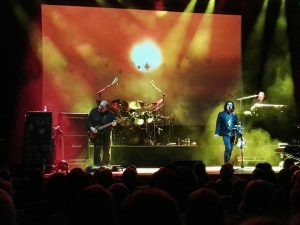 The above mentioned Steven Wilson and more recently Marillion are setting the bar very high for some of the older acts even though they are no spring chickens themselves. Whilst the legends that were are happy to hit the road in what ever guise they can they should also consider if they are still able to give their fans value for money. They are fast becoming few and far between as age takes hold on us all. I joked with a friend lately that the que for the bar during an intermission these days is nowhere near as long as the que for the loo. As sad as it may seem these frailty’s extend to some of our idols too and we have entered a sad phase where we may well expect too much from people who once were icons and our heroes who now content themselves as part of a cavalcade of similar beings aboard a cruise liner. With the aid of Youtube and the likes i will be a little more selective in the gigs i attend before i start booking hotel rooms in the future. Does this make me any less of a fan? I think not! On a more positive note, my heroes will always be just that as i have fond memories of gigs gone by which still make me smile. And to end on another positive note there are some fabulous bands out there at the moment that more than live up to the entry fee. In fact, as far as new music is concerned it is great time to discover some new and exciting sounds for which we have to doth our caps to our idols for inspiring.